I'm sure most of you have heard about Truman getting lost and found by now. I would like to share the details of the story. Monday April 21st started like any other day with my parrots at home. They woke up at the usual time and we had our usual morning routine. I noticed that Truman was acting especially food motivated. He was flying onto Santina's hanging playstand and trying to get her food and showing other signs of eagerness to get fed. Although he ate a lot the night prior and his weight was high, I thought I'd take him for a quick morning flight at the park prior to letting him hang out in the backyard aviary at work. I did not consider taking Kili cause she showed no motivation whatsoever. By taking one parrot to work with me, I can give each of the other two remaining parrots at home an entire room while I am gone. Kili got the small room and Santina kept the big room all to herself. Truman rode my shoulder wearing a harness to the playground that I had been taking him to for years. I got him on a bench, took his harness off and stepped away. He had no intention of flying off. Nor did he have the intention of doing flight training either. I kept calling him to fly to me but the eagerness I saw at home had entirely vanished. He did a couple very short recall flights but wasn't trying much harder. I was disappointed to waste such a beautiful day and opportunity to get him exercise outside. He had not been to the park in a while, but this didn't concern me. We had successful outdoor freeflight sessions months into winter. He was not one bit scared of being in the park and was rather enjoying it. I figured I'd toss him for a few boomerang flights to have an excuse to feed him off remaining treats and then I'd take him to the aviary. When I throw Truman like a football, he flies a bit away, turns around, and comes right back to my hand. The first time I tossed him to boomerang, he turned and came right back. The second time, he didn't. Instead of coming back to me, Truman took a high speed lap of the park while I called his name. Kili had done this a few times in the past which gave me a scare but she would always end up landing somewhere back in the park. Truman had never done one of these before but I thought he would remain within the confines of the playground. But instead, after completing his first lap, he zoomed through the park gates and down 16th Ave. I kept my eyes on him calling again and again so he'd reverse but I lost sight of him within 2 blocks. I left my jacket behind as I ran in pursuit looking for him. I scoured both sides of the avenue up and down for multiple blocks and without an easy trace of him, called my dad and brother to come help. They came out quickly and we continued to search nearby with no sign of him. For two hours we had split up and searched all neighboring streets. We looked high and low. There was no sign of him in the trees, on fences, in bushes, nor on the ground. I called his name periodically hoping he'd hear me and come back himself. When 2 hours had gone by I knew finding him was not going to be so easy. I went back to my office and quickly developed a flier to alert the neighborhood that he is missing. I was lucky to find a recent picture of Truman with me because of the move in to the new house and bird room. I specifically chose a picture with both of us in it to create a more humane aspect to the fact that he is a personal pet. I did not want anyone looking at an exotic parrot as a sack of money. I printed off a bunch of fliers and sent my brother posting them while I continued the local search on foot. I had my brother fetch me Kili from home and I kept her on my shoulder while searching. I hoped that the sight of Kili might get Truman jealous and encourage him to fly back. I did not waste time posting fliers because I was the best person to either spot or call Truman back. I had my brother start by posting fliers in the park where he was lost because I thought he'd eventually come back on his own. Here's why. There's a little story of how Kili got lost that I never shared with anyone. I had her untethered a few blocks from the park and was experimenting with freeflight in a different location. I tossed her for a boomerang flight. She came back on the first one but flew off on the second. She continued down the street at about shoulder height following the sidewalk. I stood calling but ran after her when I saw she wasn't coming back. I followed but quickly lost sight of her. While I was frantic, I spotted her flight path at the playground. I was certain she had flown past the park but she must have turned, crossed the street, and come back to the park all on her own. I never took her untethered anywhere but the park since, but between that and fly offs in the park that ended in the park, I was pretty sure Truman would do the same. But no, Truman never returned to the park. Fliers were posted at the park first because I wanted someone to alert me immediately if Truman showed up. I always had someone come back and sweep the park in case he returned. At first I was reluctant to share Truman's loss online. I thought he'd be quickly found and I would just share the story post factum. But as things weren't going well, I decided it would be best to get help first and take a flogging later. If it turned out telling about his loss made me look like an idiot later, getting him back was still more important. At this point I want to reiterate that Truman did not fly off "by accident." He was not spooked. I did not forget to close a door or window. He was not ordinarily outside without harness or carrier. We were engaging in outdoor freeflight training, which for this and other reasons I do not recommend, and he flew off by choice. I was pleased with his choice to fly the way I taught on the harness so with Kili's success freeflying I began to allow Truman to do the same. Truman had caught on quickly and had a better track record than Kili. He had never flown over the fence although on occasion she had. I was concerned that Truman had less flight training and was less reliable than Kili but I saw him catching on and improving quickly. The morning of the fly off I had made some big mistakes in my own procedures for reliable outdoor freeflight. First of all it was generally my rule not to fly a parrot off harness unless it demonstrated 5/5 motivation. I did not accurately gauge his motivation that morning. I was misled by some eagerness at home that did not carry over in the park. I don't recall doing a test flight still wearing the harness although I might have. I also broke my own rule about not flying the birds outside above a certain weight. I have noticed a certain correlation between weight and performance. Although a low weight does not guarantee cooperation, a high weight makes dissidence more likely. The feeling of watching my bird flying away was like a hard punch in the stomach, an indescribable feeling of fear and guilt. This is a feeling I would never wish on anyone. I left the door of Truman's backyard aviary open with a bowl of water inside just in case he could find his way back. I doubted it because I always brought him through the building and it would not be easy to find by air, but still just in case. I couldn't put a cage outside because scrap metal collectors would steal it in a heartbeat. But I did manage to put Truman's travel cage up on the roof. I left only almonds and water in strategic places figuring only Truman can break those and that way a different bird wouldn't steal them. I left sparse amounts of food to avoid making him get so full that he wouldn't recall to me after. I only got a single tip by phone that day and it wasn't extremely helpful. 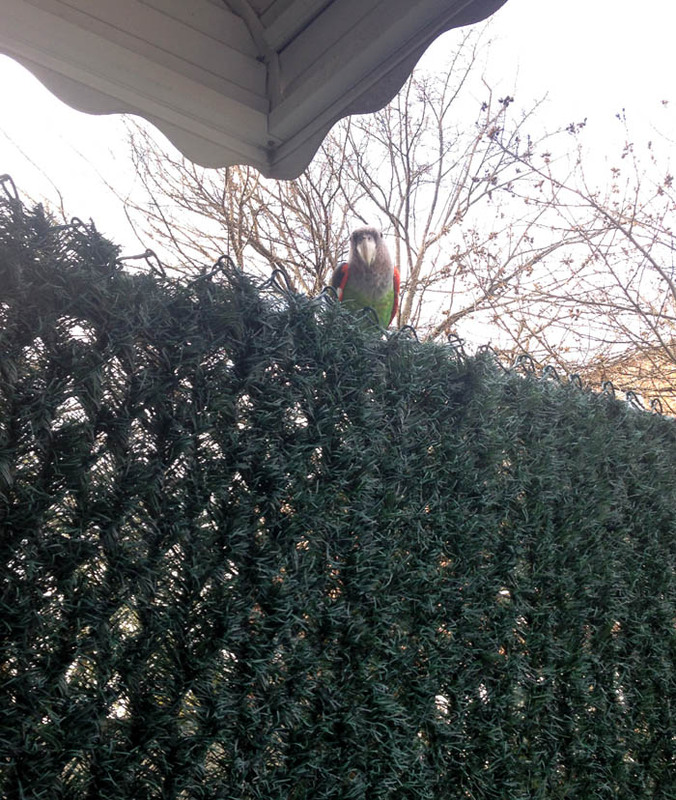 Someone called and said they spotted a green bird on 19th ave and 65th street without giving an exact address. It was late but we rushed over no less because it was the best information we had. Considering Truman was last seen at 16th ave and 68th street, this was far but not unlikely. Darkness came on that first day without a trace of Truman. I figured he wasn't hungry and pretty unlikely to come back the first day. I was much more hopeful that on the second day he would either return to the park himself or fly to me on sight. I felt that if I could just walk enough blocks calling with Kili, that Truman would come back to me. I paid attention to the forecast and discovered rain showers in the afternoon. I know that Truman tends to get hungry and eager to fly prior to rain so I thought this would be my lucky break. I was not concerned about weather. Spring temperatures ranging from 45-70 were perfectly comfortable for Truman. I knew he could easily survive temperatures down to 40 with his thick down. He has been accustomed to going outside in early winter and on the above freezing days. Although Truman had good acclimatization and flight skills, he had never been out and about on his own who knows where. Tuesday morning I set out at day break, first checking the park in case he'd returned. With no sign of him there or nearby, I went out on flier patrol for a bit because I couldn't be shouting at 7AM. A bit later into the morning I went back to combing the streets calling for Truman. I focused on calling for Truman while I let others do more of the searching. 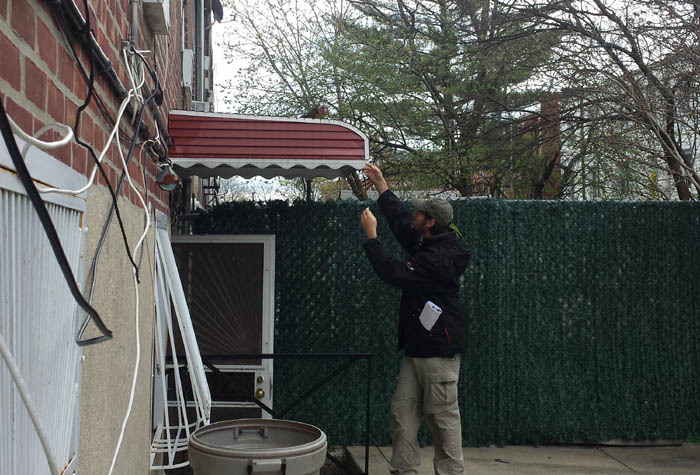 Volunteers came from distant parts of New York City each day to help me search for the missing parrot. I let them check certain areas carefully while I tried to cover broader areas to give Truman an opportunity to find me. I also used volunteers to check remote/unlikely areas and to go out on less promising tips. While the physical search was going on, so was the cyber one. I had my friend Ginger do all the internet campaigning for me remotely. She even agreed to come to NY from Phoenix to help me in person but couldn't get a last second ticket. She was responsible for getting the social media going as well as listing Truman lost on all alert sites for me. By having someone else take care of that, it freed me up to stay outside as much as possible. I was reluctant to give out my personal cell number on the internet although I knew that it was important. My friend Ginger gave me a great idea to get a cheap pay as you go phone to use just for the Truman search. This was a brilliant idea and coincidentally I had an unused one laying around. On the first day I avoided posting a reward not because I was being cheap (or optimistic) but because I was afraid to imply that the parrot is worth money or selling. As the search became more desperate, I realized that posting a reward could help encourage people to call or return him. On Tuesday morning I received a list of contact information for local news media from Ginger for me to contact. I still thought it was a bit of a stretch to go that far but I opted to play on the side of overly cautious and assume he will be hard to find and overplay the situation rather than regret it later. I did interviews on camera and by phone to get as much media coverage about the situation as possible. I took advantage of Kili & Truman's fame to gain more interest and improve the chances of somebody finding him. Part of my motivation in getting a media frenzy was to make it very difficult to impossible for someone to try to keep him if found. I was very concerned that his extensive trained abilities and talking could cause someone not to want to return him. For this reason I offered a sizable cash reward and got so much hype going that it would be hard for someone to keep him. Thus his fame/abilities put him in greater risk but were also pooled to help get him back. On Tuesday morning a volunteer biked across NYC to come help look for Truman. She used the speed of her bike to check more streets than I could on foot. My brother thought it would be a good idea to record me calling Truman and then to blast it from a car. He let my dad drive the pickup truck while he rode in the back calling and watching. They went up and down a far greater number of streets than could have been walked. This was part of our extended search idea. I received a tip of a sighting of a green bird on 22nd Ave and 68th street. This was pretty far but if the sighting the previous day at 19th Ave and 65th street were true, it wasn't a stretch. I got to the area and started searching around. A lady recognized me from the flier and said she'd seen a bunch of green birds too. She led me to a tree and I immediately recognized the monk parakeets that people were referring to. I instantly knew that wasn't Truman. I walked the area some more and found a giant pine tree full of monk parakeet nests. I called for Truman just in case but did not believe they would let him mingle with them. I figured they would most likely kick him out. Getting through the second day was difficult. I did not sleep the night prior and could barely eat. My feet were unbearably sore and blistered. It hurt so much to walk that I was becoming numb to it. Kili's enthusiasm and reminder of my second shoulder being bare pressed me to go on searching and not stop. The endless remarks of support that I occasionally browsed on my facebook page were extremely encouraging. You have no idea how much the situation makes you want to give up. Between the exhaustion, the delirious condition, and the endless failure, it is extremely difficult to go on. It's not that I didn't want to find him or wasn't hopeful. It was just difficult to see the point in walking the same places over and over again. At the same time checking further neighborhoods seemed futile without a tip because the directions were endless. The supportive comments, the "don't give ups," and the heartwarming stories of people finding their parrots after days gave me the hope to go on. 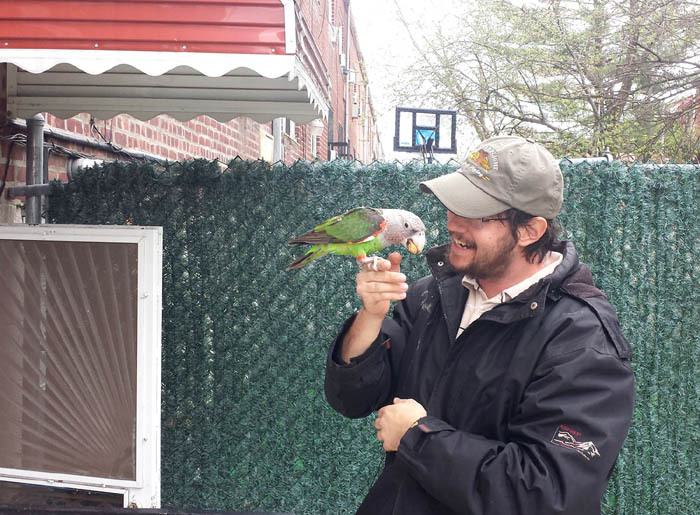 I received many tips about a flier posted in a distant part of NYC about a "parrot came to my window and I was able to catch him. He is very tame and sweet. He is in excellent shape and eating and drinking well. If this is your bird or know the owner please call Rob. I require you to accurately describe the bird for me to make sure you are the proper owner." This sounded far off but I rushed to call just in case. When I began describing Truman something wasn't adding up and when Rob saw the picture, he doubted it was him. When we established that Rob found the bird a day prior to Truman going missing, it was certain this was unrelated. 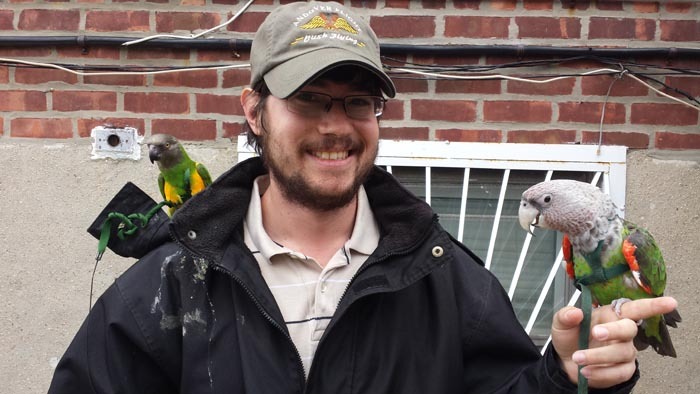 If anyone else in NYC is currently missing a parrot, call Rob at (347) 255-2098. As the rain shower was near, I was hopeful that Truman would find me. But as it began to precipitate, I felt like I missed a golden opportunity to get Truman to come back. Yet as the rain stopped, new volunteers showed up and the support encouraged me to keep trying. I received a tip that somebody thought they spotted Truman flying past the park, under the elevated train tracks and to the other side. I rushed from where I was and called my search party to head that way as well. 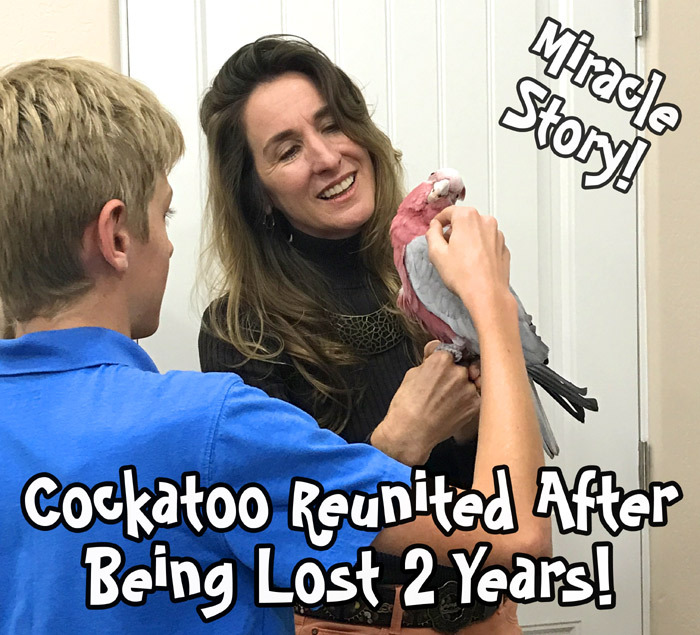 We continued searching and Coco who owns a Cape Parrot named Lola, thought she saw a familiar looking flight stroke. It was getting dim and difficult to discern. We searched all around the block we thought he was on but did not catch another glimpse or sound. I was mostly able to stay focused on the goal and not get too emotional. I was too busy to think thoughts that would make me upset. But when taking a moment to talk to journalists or people about Truman I couldn't stop from choking up. Seeing Truman's empty cage that night as I was putting away really made things sink in. Seeing my Parrot Wizard 3.0 logo with Truman was also much to bear. I was less scared of not having him for myself as for his safety and sake. I figured he had a good chance at survival but time was running out. On Tuesday evening while talking to Fox 5, I got another sighting call from 19th Ave and 63rd street. This was 2 blocks from the previous day's sighting at 19th Ave and 65th street so it sounded credible. I rushed over and the news team followed hoping to catch the rescue moments but there was no sight or sound of a parrot in that neighborhood. A second night I barely slept and got up again at daybreak. It did not feel like 2 days had gone by. It felt more like 2 weeks. I kept reminding myself it hadn't even been 48 hours yet that he had been lost. Sara Munawar left me a really ominous note on facebook that really touched me, "Tomorrow morning will be the day he is found safe and sound. Watch!!" With loads of bandaids on my feet I could barely step out of my car to hang fliers let alone walk to search. I had a tip that people heard a strange bird making noise all night in a tree on the corner of 14th Ave and 49h street. A bit in the opposite direction of where all leads were taking me but I checked it early. I heard no sign of Truman but people in the street assured me there was a bird making noise there all night. I don't know of Truman making noise at night so I'm not sure this was a credible lead. Calls about monk parakeets continued to pour in and I had to ignore them because I had to focus my efforts in more likely neighborhoods. I was receiving calls from as far as Islip and the Upper East Side. 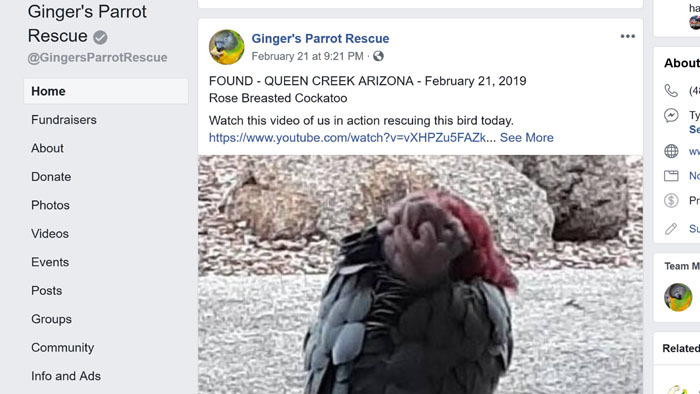 I knew Truman could not be that far but I did encourage those people to report their sightings on parrot alert sites in case anyone else was looking for them. I went back to the 19th ave area early in the morning to find a trace of Truman. I was listening intently because by then I expected him to be screaming for attention/food. I did not hear Truman but I found a scatter of almonds in shells and some opened ones on the ground. I have no idea how they got there but I considered the possibility that Truman may have been there and eaten some. On the other hand, they were on the ground and perhaps it was a rat or squirrel instead. I kept note of this location in my head and posted more fliers in the area. Another turn in events was the show up of Ronen to help search. Up 'til this point it was only family and internet followers that were helping me out. Ronen was the first stranger that found out about me solely on the basis of the crisis. Ronen had previous experience recovering lost parrots. Apparently one of Ronen's friends heard about missing Truman in the paper and was encouraging Ronen to go and cash in on the reward by finding him. 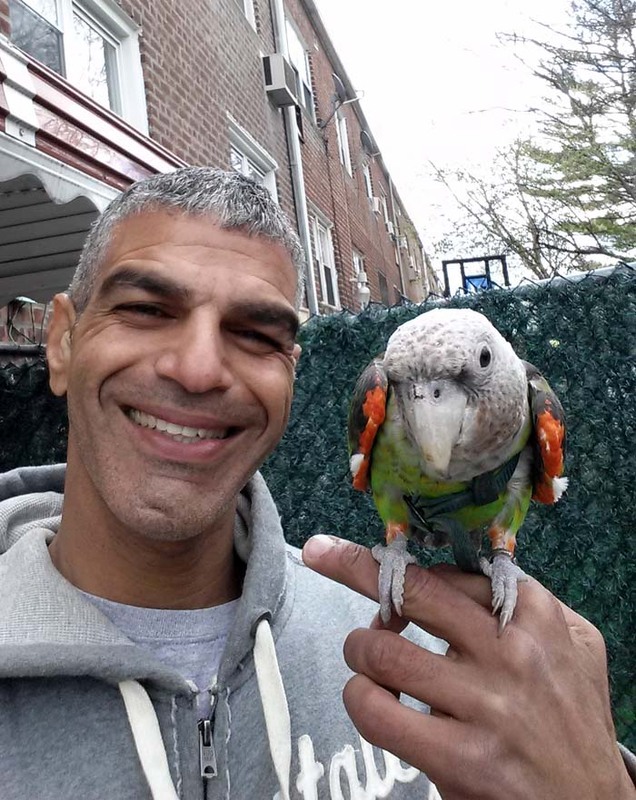 Ronen told his friend, "did I charge you anything for finding your parrot!?" and that was the end of that discussion. I was exhausted and disappointed with my lack of a lead. I could barely walk. But Ronen showed up and took the search into his own hands. He lead the way and gave suggestions of places to look that I didn't think of. He boldly went into people's yards and talked to neighbors. His confidence that Truman was near and to be found gave me hope and helped me keep going. We searched more closely than any of the prior searches had been. I was mainly relying on flushing Truman out by calling him before, but Ronen was getting us to conduct a more thorough visual search. We scoured the neighborhood for several hours when my phone rang. A gentleman started out by telling me he found my parrot in Canarsise. 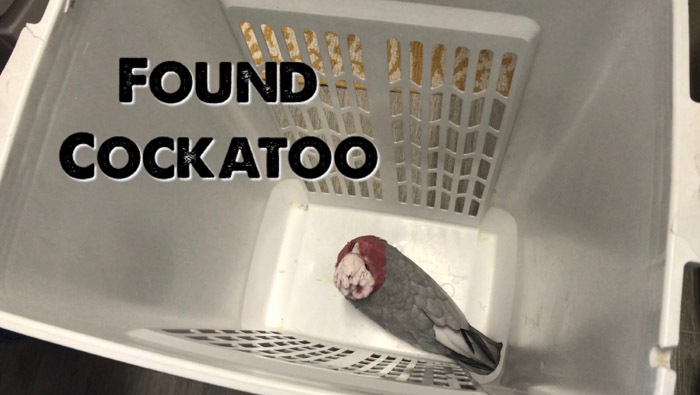 Let me just say that every call I had got started with "I found your parrot" regardless of whether they had a good visual on the bird or not. I barely knew where Canarsie was but I knew it was very far away. I even snickered a bit but figured I'd hear him out just in case. He started telling me about how this parrot had been in his yard making a lot of noise and has a white beak. The moment he said white beak I began to pay attention because Truman's beak is white. Then he went on to say he had been there for hours. 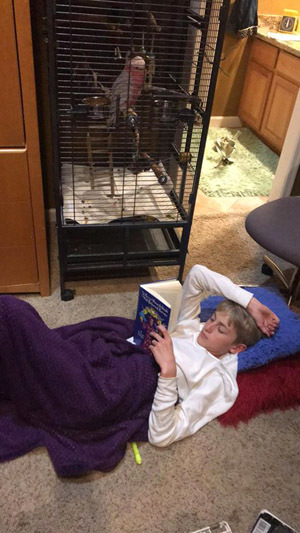 A wild parrot would never stay in the same place like that for hours but a lazy house bird like Truman totally would. Once the man said the bird had orange on its ankles, I was absolutely certain that it was Truman. Ronen told me to get Vaughn to send a picture to his phone. I didn't need a picture from the description to know it was Truman. Cape's are unique and rare, this couldn't be any other. The picture made it certain that it was indeed Truman. Ronen's car was closer to where we were searching and he knew that neighborhood better. So we jumped in Ronen's car and he went as fast as he could to the scene. I was beginning to tell Vaughn to just get Truman to step up and take him inside but Ronen stopped me and said it's safer to just keep eyes on him and not risk scaring him away. I realized that since he hadn't gone anywhere for hours that he probably wouldn't be leaving any time soon. I asked Vaughn not to take his eyes off of him in case he flies away while we rushed to get there. I was not thinking of anything else but Ronen suggested I contact the news reporters in case they could get there before us and get another set of eyes on the bird. Great thinking, I alerted News 12 because I still had their card on me. We arrived at the corner house and Vaughn invited us into the yard. I asked everyone to stay back to avoid scaring Truman off. I knew it was him from the calls I heard before we had even entered the yard. He was being noisy and playful. He was sitting atop an awning over the back door. He was pacing happily back and forth and not in the least bit concerned. He noticed me but was in no rush to throw himself in my arms. I expected a half dying bird to rush to me for saving but this wasn't remotely the case. I tried recalling Truman but he didn't budge. I pulled out an almond sure that he'd throw himself at it but still nothing. He wasn't finished playing atop the awning. Vaughn told us he had been there since 8AM and was flying between the fence, awning, and window sills playing and making noise. I couldn't think of anything else but Ronen was awesome enough to capture the first moments of Truman getting recovered. I was a bit nervous that if Truman flew anywhere else, now he was in a very distant neighborhood and finding him again would be impossible. I did not rush to get a hold of Truman. This would have been a mistake. He hadn't gone anywhere for hours but doing something to agitate the already stubborn bird was too risky. I stood on my tiptoes reaching for Truman on the awning and let him step up. He came to the edge of the awning and stepped on my hand himself. I lowered him and immediately got an almond into his beak as a reward for coming to me. I put him down on a low fence to eat his almond. I tried to get a harness over him while he ate but the almond was too big and prevented the harness from going on. I tried to momentarily take his nut away but there was no chance that was going to happen. So instead I just let him sit and eat his nut untethered. I wasn't afraid of him flying away again. The first time was premeditated. This time he had no reason to. When Truman finished his nut, I put his harness on. With Truman on a harness, I proceeded to feed him pellets and Vaughn brought him some water. To my surprise Truman was far from ravenous. He ate like he was a bit hungry but he wasn't desperate. This surprised me. With this kind of motivation, I doubt he would have flown back to me from anywhere. Truman was in high spirits and I checked his condition by asking him to do tricks for his treats. He had no problem doing them and his keel still felt meaty. I expected him to be emaciated but he was still plumper than where I would have ideally had him for outdoor flight training. As we walked out, Brooklyn News 12 caught us and got some interviews. It was a really joyous moment and I was just so relieved and comfortable to be reunited. They took a picture of me with my heroes. I realized that I did not have the cash reward on hand. I was just in such a frenzy that I had not even considered how I would pay it out. I assured Vaughn in front of the media that I would come back later that day to present the cash. Luckily Vaughn was cool with it and really just trying to do the right thing. He has a cat of his own and knows what how much a pet means to its actual owner. I'm sure Vaughn would have done just the same even if a reward had not been offered which is why I was especially intent on making sure he got it. I would have hated to have to pay off someone who was being a jerk and uncooperative without seeing the money first. Vaughn said he was playing Call of Duty with his friend when he started hearing a lot of noise outside. It was agitating his cat and Vaughn went out to take a look. He thought it was a very strange looking bird and he shared this with his friends online. Vaughn had not heard of the fact that Truman was missing but his friends did and urged him to get a hold of me. That's how the whole friend of a friend plus social media system really paid off! It wasn't 5 minutes since Truman was back that Kili began trying to attack him! She has been viciously trying to beat him up since. She would hang off my shoulder trying to bite him on my hand. I can't leave the two in the same room together because she is intent on getting him. It's like she wants to beat his brains in for putting us through all of that! Ronen drove me and the two birds home while I made joyous phone calls. One of my first calls was to the vet to find out if I had to do anything. I was told to monitor him closely but that without symptoms it may be hard to know how to treat him. Except for pinkish/purple around his eyes and a very tired look, Truman seemed perfectly fine. In fact I was a bigger wreck and probably lost more weight than he did. I got a call from someone saying he found my parrot. Considering Truman had already been found I knew this wasn't the case but I listened anyway. This was a sighting on 73rd street and 15th ave, not far from 71st and 15th ave where a sighting was reported the previous day. Where things got interesting was when the man admitted he had seen the parrot many hours earlier, around 8AM. He said he had tried to catch him on his balcony but that he flew off. Considering the incredible wind that day and the fact that he only showed up in Canarsie around 8AM, this first sighting may well have been true. I predict that Truman really was on that balcony but when the man tried to "capture" Truman (rather than just ask him so step up), Truman panicked and flew above the house. At that altitude he caught a 30mph wind and drifted 6 miles to Canarsie. Although Truman has flown in gusty winds down low, he has never had the experience of flying above roof tops before. This experience may have led him to continue flapping until he got too tired. I ballpark that with a 30mph wind and a cruise flight speed of 30mph, the straight line journey "as the parrot flies" to Canarsie would have only taken him 6 minutes. We got Truman home and he flew a bunch of flight recalls to get more food. I was careful not to let him freefeed at once to avoid hurting himself. He did just fine and eagerly asked for plenty of food by training. Afterward, Ronen continued driving me around to finish up things. He took me by his house to copy the footage he took for me to my flash drive. Then he took me back to meet up with Vaughn and present the cash reward. And then I took Ronen out for a celebratory dinner. Not only had I found my parrot that day, but also a new friend. Like me, Ronen keeps 3 parrots and they are all flighted. I absolutely will not clip Truman's wings. They have never been clipped and never will be. Truman did not fly off by accident. He was not spooked and nor did he escape. I have a good tab on flight safety at home and am confident he couldn't end up flying away by accident by using foolproof safety measures. However, there is nothing foolproof about freeflying a parrot outside. Although it is largely based on a relationship and training that encourages the parrot to fly back, we can never be 100% sure of what they will choose to do. I am not opposed to the concept of parrot freeflight (I always have and always will continue to say it's not for virtually every parrot owner) but this kind of situation cannot happen ever again. Considering how far he got and how difficult he was to find, I consider myself lucky and would not tempt fate again. It's not that I have not considered the possibility of one of the parrots flying off before. I certainly have. I just never thought it would be this difficult and problematic to recover. Had I found Truman within the first day in the local neighborhood, I would have probably continued to freefly him, just with better precaution. But without the massive media, online, and community support, there is no way I could have gotten him back like this. 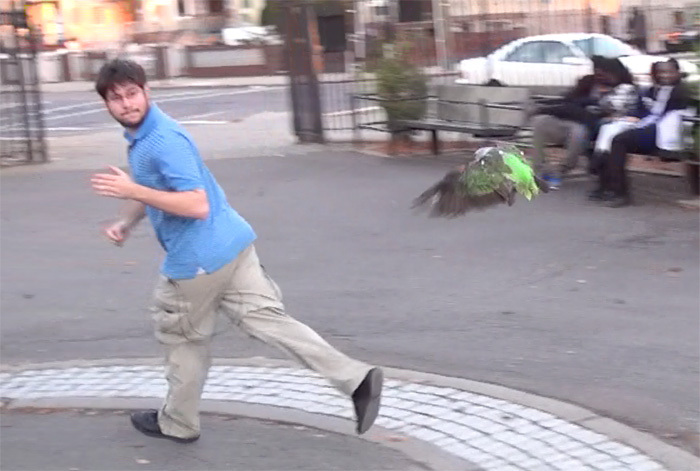 I cannot possibly burden others like this again for the experience of freeflying these parrots in the city. For these reasons, for the foreseeable future and until a turn of technology or events that would allow otherwise, Kili & Truman will stay on their harnesses while outside. Yet there is absolutely no good reason to clip Truman's wings. He flew away because I threw him away and because I gave him the full freedom to do so. All it would take for that not to happen is simply not to take off his harness outdoors. I am not punishing Truman. Not only would he not understand it, but nor would it be right. I need to reward him and treat him better for being home. I must treasure him and remember what it felt like not to have him even if just briefly. Truman won't tell me where he had been all this time so I will speculate just a little. I think Truman's initial fly off was distant enough that I couldn't immediately find him. Perhaps he even turned the corner a few times trying to circle back and ended up more than a straight line or 90 degree turn away. He hung out quietly and mostly just rested. I think that sighting of him flying under the train tracks was for real and that Coco did catch a glimpse of him. The following morning he landed on a balcony but the guy trying to catch him scared him away. Being high already, Truman flew even higher and caught a massive tailwind. He flew continuously until he got too tired and landed in Vaughn's backyard. Truman was too tired to fly far again and just hung out until I could get there. As to what Truman was thinking, I cannot know for sure but this is my take. I think Truman stormed off like an angry teenager in the moment. He was upset I was trying to make him fly when he did not want to. Kili (and even Santina) forgive me if I push too hard or upset them somehow but Truman gets worked up over things. He stormed off intentionally. He may have gotten lost and couldn't find his way back or he didn't feel like coming back at that time. The next two days calling for him locally was futile because he wasn't hungry enough and not particularly intent on coming back. He may have heard me at times when I called nearby but he just wasn't ready to come home. When I got to him in Vaughn's yard, he was like "oh, it's you." He didn't mind coming to me but nor was it the top priority on his mind. He wouldn't fly back to me but he did step up just fine. It's like the difference between calling someone to come from across the street vs walking up to them and asking them to come. Truman wanted to set his adult boundaries and make clear about some things that he wanted. He ran away from home to make his point. I already knew he's a stubborn bird but he also wanted me to know that there are some things I cannot do against his will. By giving my birds extensive freedom, they have greater opportunities to express themselves. In this case it was just a bit too much freedom. Perhaps if I found Truman some days later, he would have been more eager to be saved. But at this point he was still enjoying the high life. It's like a teenager that ran away from home. Maybe after a week and running out of money, he'd want to come home. But after just two days and plenty of fun, that's not yet the case. I don't think Truman realized just how much trouble he had gotten himself into yet. I suffered far more than he did. But really I'm glad that he didn't suffer. The only thing he really seemed to miss was beak and head scratches. He cuddled the whole car ride home and repeatedly since. He has been enjoying outdoor time in the aviary and riding my shoulder (with a harness) around the community to take down fliers and let everyone know he's been found. This is the most media attention Truman has ever had. Although he auditioned for many of the same shows that Kili appeared on, he was never chosen. Kili would always upstage him and the producers would pick her instead. No matter how much I tried to get him on instead, everyone always wants Kili. It has been difficult for Truman to be growing up in Kili's shadow. This incident has been the most attention he has ever received. He's been enjoying it but it's not the way I would have liked for him to become so famous. If I could take back this whole experience and the publicity that came with it, I would do it in a heartbeat. The agony I had gone through absolutely is not worth the fame it brought. Like Truman in the Truman show, Cape Parrot Truman wanted to step out of his studio into the real world. What Cape Parrot Truman didn't realize was that he was already living in the real world. You can't go beyond that. What I want Truman to realize is that he's got that real world but also that he is loved and missed back home. Kili, Santina, and I are his family and all love him very much. Things wouldn't be the same without him. We are so glad that Truman is back and can't thank everyone enough that has helped to get him home! Stay tuned for The Parrot Wizard's Guide to Finding a Lost Parrot. If anyone ever loses their bird, let this story be a story of hope and encouragement not to give up looking and may you have the same happy outcome as Truman and I did.